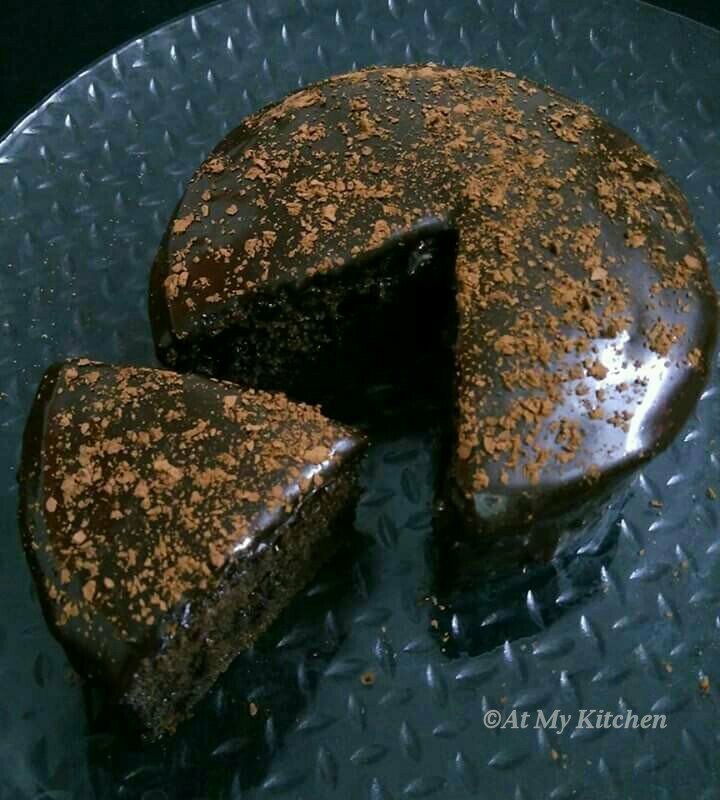 My first blog post and I am going to share my superhit Eggless Whole Wheat Chocolate Cake. It is an easy, simple and delicious cake made of whole wheat flour with simple chocolate frosting. And yes it is eggless. I love baking eggless cakes so you will come across as most of my bakes as eggless bakes. The texture of the cake is super soft, moist and spongy. 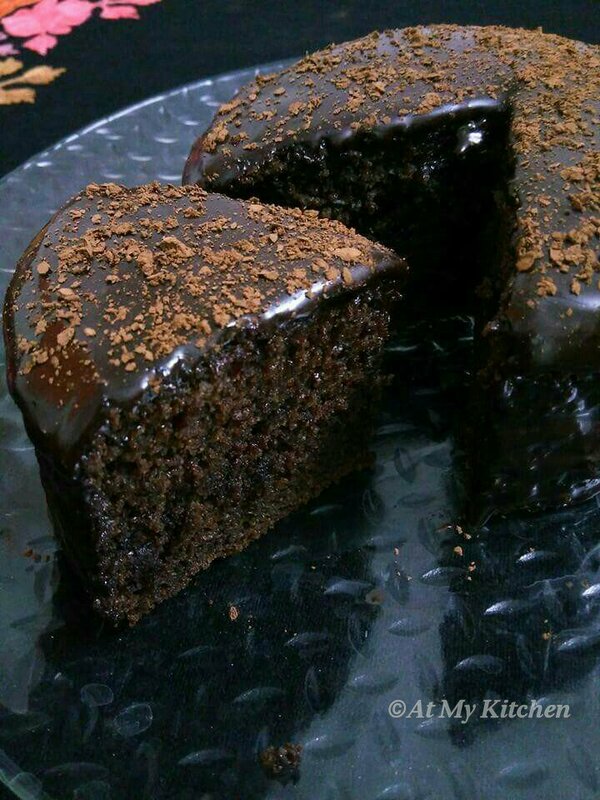 So explore the recipe, try it and enjoy the sinful delicious chocolate cake. 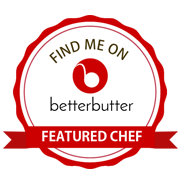 Do try the recipe and let me know in the comments below how it turned out for you. Grease a cake pan and set aside. Take the chocolate and cut them into small chunks. Mix with ½ tsp flour and set aside. Seive the flour, cocoa powder, baking soda, baking powder in a mixing bowl, mix well and set aside. In a large mixing bowl, take curd and sugar, whisk nicely and mix well till the sugar is melted. Add vanilla essence, milk, oil and stir well. Add in the flour mix and fold gently and make a smooth batter without lumps. Add the chocolate chunks and stir gently. Pour the batter into the greased pan. Preheat the oven at 180 ° for 10 mins and bake the cake for 35-40 mins. Start checking from 35 mins. A tooth pick inserted should come out clean. Remove it from the oven, let it cool down and invert it. To make the chocolate frosting, take the butter, chocolate and sugar in a sauce pan and heat it for few seconds and switch off the flame immediately when the chocolate starts to melt. Add the cocoa powder and milk, mix well till both sugar and chocolate is melted completely and everything is combined well and smooth. Set aside. Your frosting is ready. Now take the cake and evenly spread the frosting all over the cake with the help of a stapula or knife and finally dust the cocoa powder over the cake. Cut and serve. 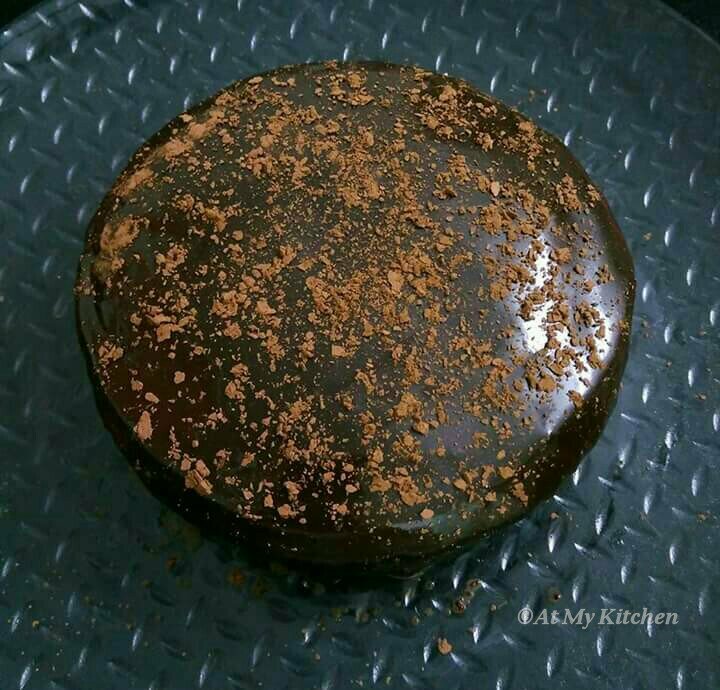 Hi Akum..want to make eggless whole wheat chocolate cake for 10”cake tin..so can I double or tripple the recipe.. pls guide on this..
Hi Sweta, 2 eggs and opt out the baking soda, use only baking powder. My 14 year old son made it for the very first time and it was really yummy. This is going to b my all time favorite recipe for chocolate cake. Thks do much for sharing.